These Dawn FC (framing camera) images show a region around the equatorial troughs with two different resolutions. The image on the left has a lower resolution of 260 meters per pixel and the image on the right has a higher resolution of 66 meters per pixel. Many areas of dark material are visible in the lower resolution image, including the dark hill (in box). 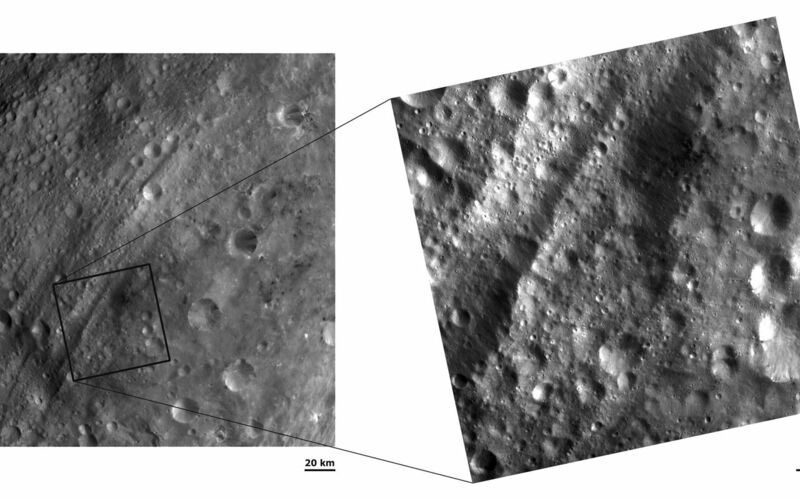 The higher resolution image displays more detail of this hill, such as its irregular contact with the rest of Vesta's surface. 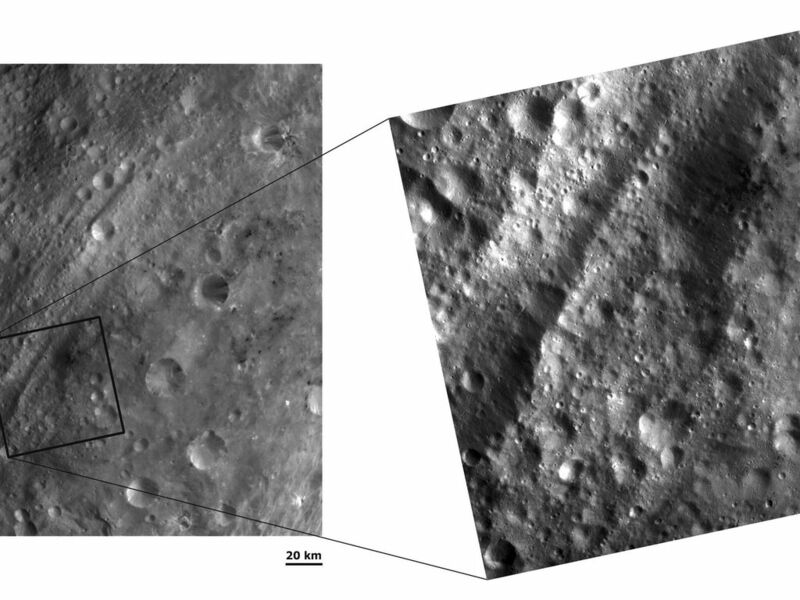 Many more details are also visible in the right hand image when compared to the left hand image, such as small linear grooves running roughly parallel to the troughs and slumping/landslide features in the bottom right hand corner crater. 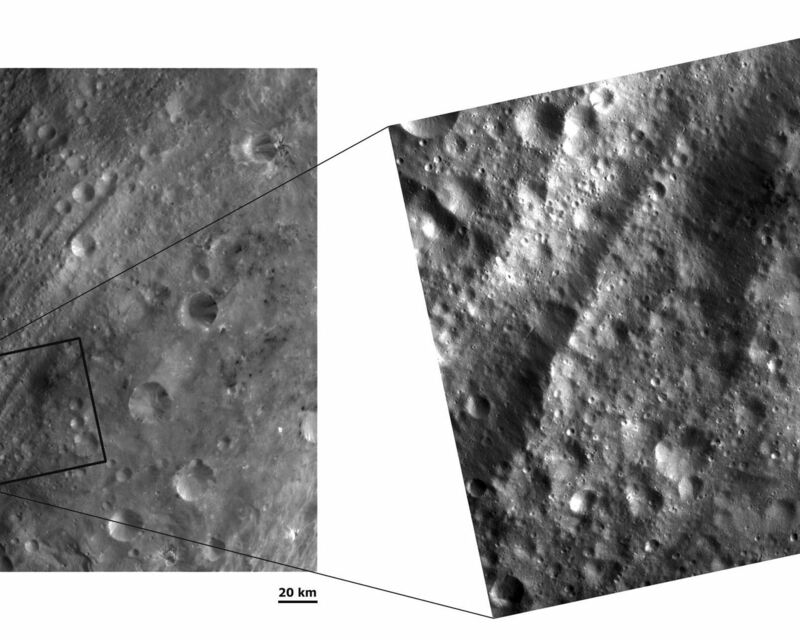 NASA's Dawn spacecraft obtained these images with its framing camera on August 20th and September 20th 2011. These images were taken through the camera's clear filter. 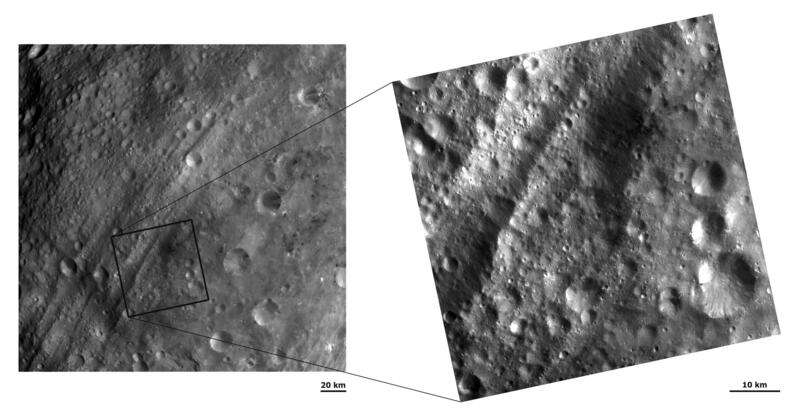 The distance to the surface of Vesta is 2740 km and 673 km and the images have a resolution of about 260 meters and 66 meters per pixel respectively.